Shaheen grew up in 5 countries around the world, and returned to India when she was 18 to start a small college project, which grew into Akanksha. For 17 years, she worked with teachers and students, building Akanksha to provide 4000 children from low- income communities the kind of education that would maximize their greatest potential. Today, Akanksha serves 6500 children through their School Project and after-school centres in Mumbai and Pune. Shaheen is an Ashoka Fellow, a Global Leader for Tomorrow at the World Economic Forum, and an Asia Society 21 Leader. 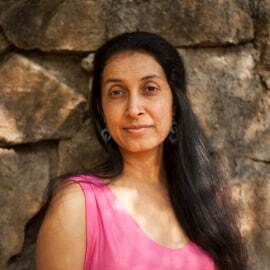 She serves on the boards of Akanksha and Design For Change, and is an ex-member of the board of India School Leaders Institute, the Thermax Foundation, and Teach For All. Shaheen is the author of the book, Re-drawing India. She has a Bachelor’s Degree from St. Xavier's College, Mumbai and a Master’s Degree from the University of Manchester.